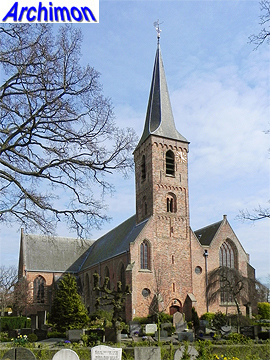 The village church (Dorpskerk) of Wassenaar has to be one of the most interesting churches of medieval origin in the Zuid-Holland province. 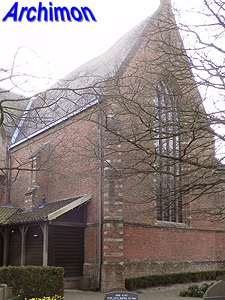 Seen from the north, it looks like an aisleless cruciform church, but on its southern side it has elements of a hall-church. 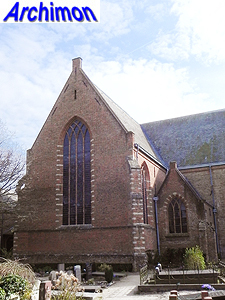 Its history dates back to a Romanesque church first mentioned in 1276. It was however probably built in the early 12th century and was built of tuff. 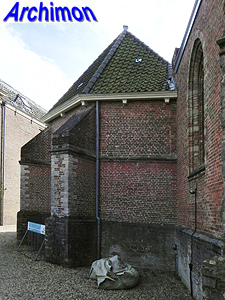 Parts of the northern wall of the nave and the western wall of what probably was the transept remain. 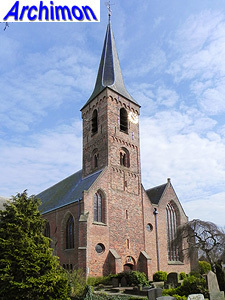 The tower was added in the early 13th century and was built out of bricks. In ca. 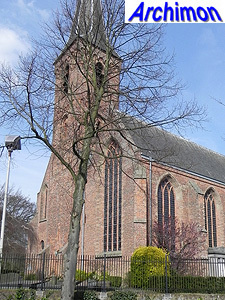 1450 the tower was heightened with a bell storey, while the nave was heightened and transformed in Gothic style; traces of Romanesque windows and portals are still visible in the northern wall. 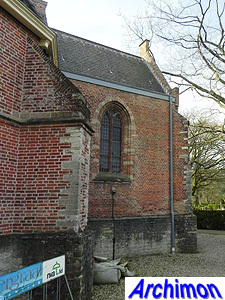 In this period the tall side-aisle with its lateral choir must have been added to the southern side. 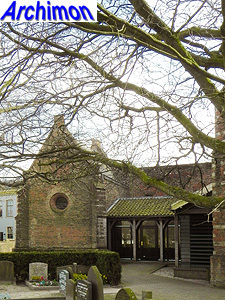 Early 16th century the sacristy and the northern transept-arm and chapel were built, as was the main choir. 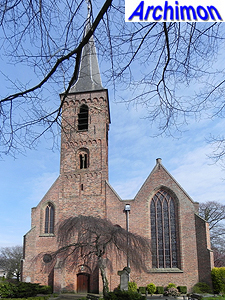 During the Siege of Leiden the church was largely destroyed. 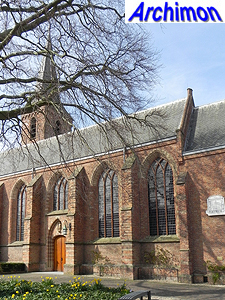 Part of it was rebuilt in the period 1581-1640, now to serve as a protestant church. 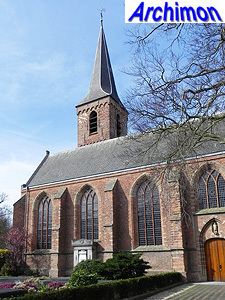 In 1739-1741 the current spire was added to the tower. 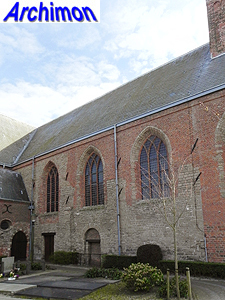 The ruined walls of the transept-arm and the choir were lowered and in 1700 a small building was made out of the walls of the apse. 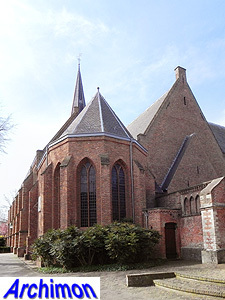 The lateral choir on the south side was left without a roof until 1833, when it was covered with a low roof made of zinc. 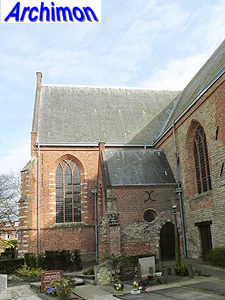 In 1929 the chapel on the northern side, which contains tuff fragments of the Romanesque church, was restored. 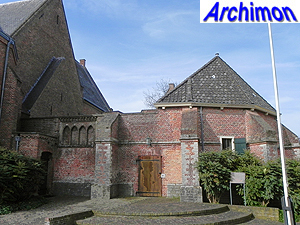 A major restoration followed in 1938-1940 and was lead by architect H. van der Kloot Meyburg. 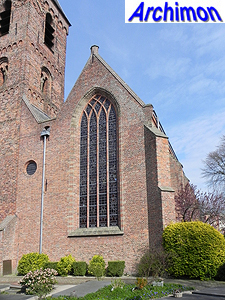 In this period the church space was enlarged by rebuilding the transept-arm and lengthening the nave. 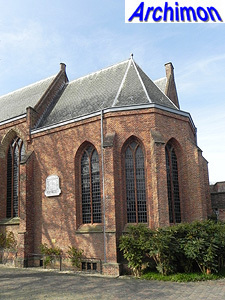 The roof of the lateral choir was replaced. 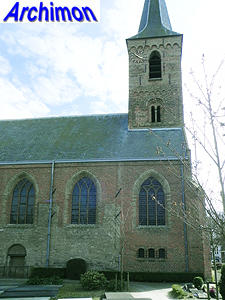 Also the Romanesque sounding holes of the tower were reconstructed while a new portal was added to its west side. 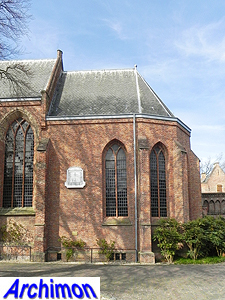 All windows were reconstructed in Gothic style.